Dr. Lane Tipton and Camden Bucey open up Geerhardus Vos’ Biblical Theology for the second episode of Vos Group. 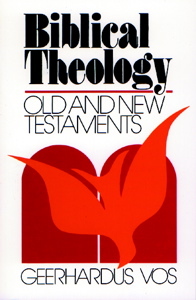 On pages 3-11 (Chapter 1 up to, but not including, “Guiding Principles”), Vos sets out the nature of the discipline of biblical theology and its relationship to the different departments of theology. In short, biblical theology is a study of the history of God’s special revelation which is his authoritative interpretation of the history of redemption. The discussion also covers Vos’ historical methodology, the organic nature of special revelation, and the particularly practical side of biblical theology.